It’s Australia Day this week, so we are going with an Australia Day theme for team names. This week, if your team name is something that could be used as an Australia Day Bingo square, you will get a bonus point. 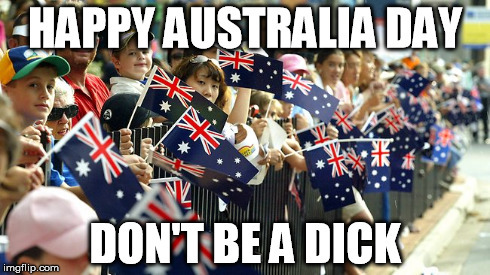 Start thinking of some of the things you’ll see a lot of on Australia Day. Examples could include: An Australian flag worn as a cape. Southern Cross tattoos. Drunk bogans. Complaints about drunk bogans. Casual racism. Not so casual racism. White people referring to Invasion Day without irony. A fight about the rules of backyard cricket. Triple J listeners ranting about artists that shouldn’t be in the Hottest 100.